Robyn Vilate: Perfect for the Weekend! Happy Friday and yay for the weekend!! 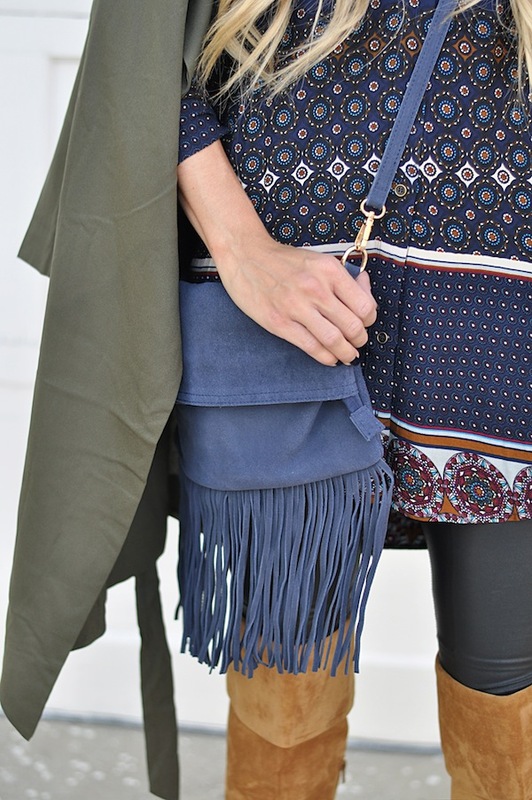 Today's look is a favorite complete with a fringe bag and matching floppy hat! 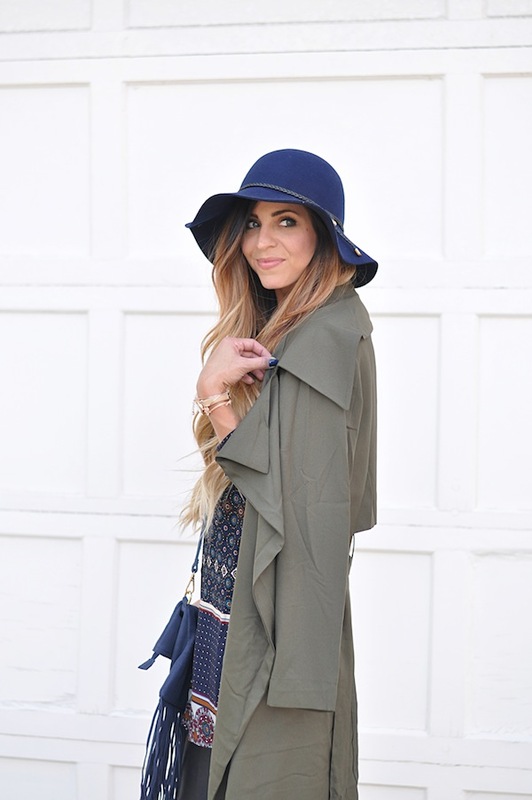 If you know just about anything about me, it's that I love a great bag and hats are a staple in my wardrobe! I love that this look has a little bit of a boho feel but still looks a little more polished - especially when adding the trench! This olive trench was a perfect fall find and drapes perfectly with draped blouses and dresses! I loved putting this look together, but sitting here looking at the photos I actually love it more! (and I'm hoping you all love it too!) The best part is that all these pieces are around or under $50! We love the blue and brown mix, nice print.